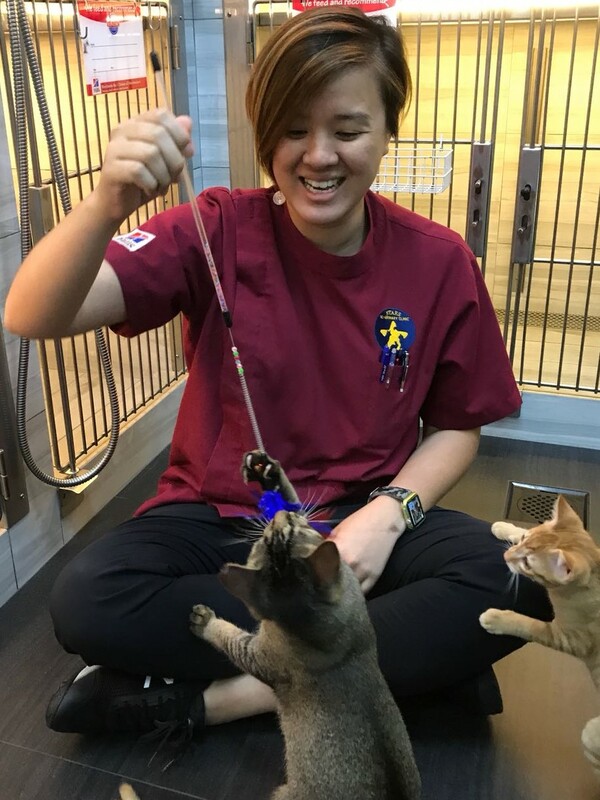 Dr Chang Siew Yee obtained a Bachelor of Science degree from NUS then went on to pursue a Bachelor of Veterinary Science from Massey University, New Zealand. After years in practice, she has since developed interests in emergency/internal medicine and imaging. Dr Chang comes from a family background of Traditional Chinese medicine (TCM), which has played a factor in influencing her style of practice. She uses TCM to complement western medicine where she sees fit in order to provide the best chance as possible to aid in her patients recovery. In 2015, she completed her course with Chi Institute to be a certified Veterinary Acupuncturist and has since performed acupuncture on many patients. In the following year, Dr Chang also attended various endoscopy (flexible and rigid) and minimally invasive procedure courses. She believes in constant upgrading of one’s skill to stay up to date in providing the best care for her patients. Dr Chang also obtained a certificate in Ultrasound in 2017 and is in the process of obtaining a certificate for a yearlong course in small animal emergency medicine due to be completed end of 2017 with University of Sydney. Dr Chang is a proud owner of 2 dogs and is also responsible for taking care of her 5 other family dogs. She dedicates most of her free time to them although she would try to steal any leftovers to travel, drink a cup of good coffee at cafes and jog with her goofy poodle mix. It is important to her that every patient receives the best care possible. Dr Chang also believes that palliative care for her terminally-ill and immobile geriatric patients is vital in her work to ease their suffering and pain.